TACLOBAN CITY–How do journalists cover the news when they themselves were directly affected by it? Typhoon Yolanda (Haiyan) did not spare local media outlets in Eastern Visayas. 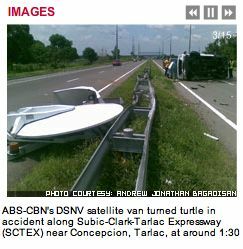 The worst hit were radio stations whose announcers were on the air as the typhoon hit. For the news team of ABS-CBN’s regional station in Tacloban City, the biggest story they covered cost them their homes and nearly them and their families’ lives. (UPDATED April 18) Adversity, struggle, triumph, and a desire for change. These are the real-life stories of ordinary Filipinos–as told by the country’s TV news organizations–that earned nods this year from the reputable New York Festivals (NYF) International Television and Film Awards. Sixteen entries from the Philippines were picked for the competition shortlist along with hundreds of finalists from more than 30 countries. 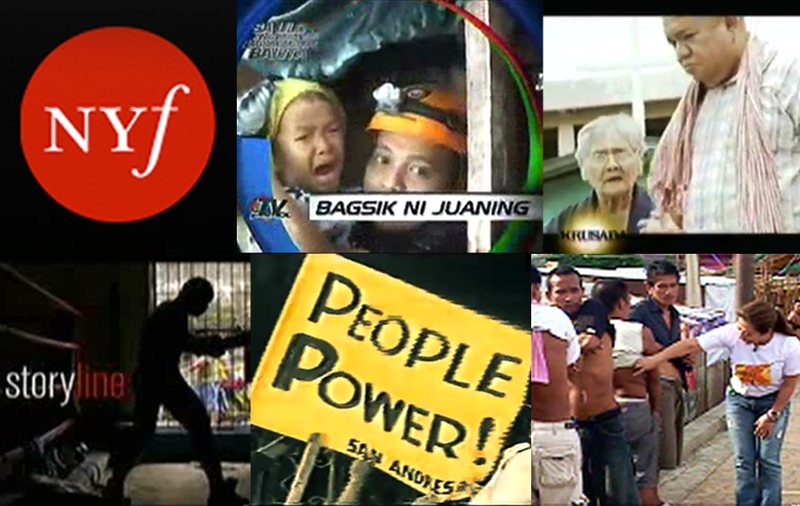 They include documentaries on conditions faced by the poor, TV specials that relived the country’s historical moments, profiles of unique lives, and programs that searched for solutions to the nation’s woes. 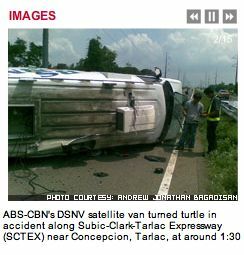 Five entries from ABS-CBN News and Current Affairs were recognized this year. They vied for the competition’s Gold, Silver, and Bronze World Medal trophies, which were awarded on April 17 in Las Vegas (the morning of April 18 Manila time). During the ceremony, one debut entry (Krusada, see below) snagged a medal. 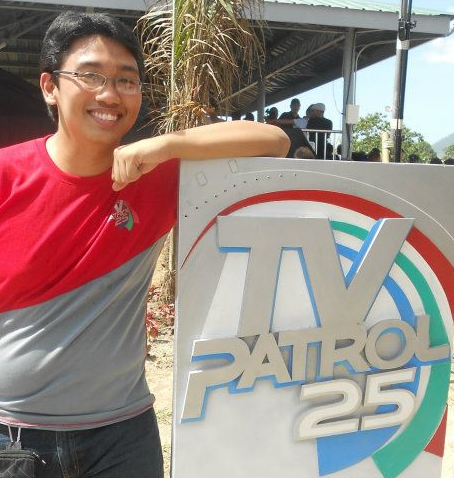 Leading the pack is prime-time newscast TV Patrol‘s broadcast during the onslaught of tropical storm Juaning on July 26, 2011, which is nominated for the best newscast. Long lines, bag checks, and selective admittance. Dozens of sentries in white polo barongs. The occasional chopper overhead. And at conspicuous areas, broadcast vans and a media platform. It’s a rare prelude to any commencement rite. I hadn’t seen this much fuss when I went through this ceremony. But this was no ordinary college graduation, in no ordinary college, and with no ordinary visitor. 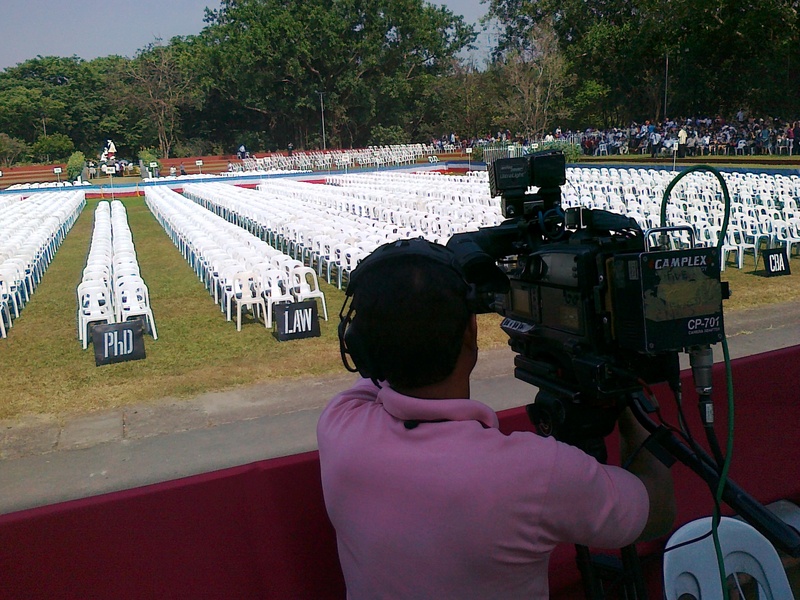 President Benigno Aquino III was speaking to the University of the Philippines Diliman’s class of 2011. It would be the first in 12 years. He would also receive an honorary Doctor of Laws from UP–the 13th after Fidel Ramos. The potential conflict also made it worth checking out. After all, a number of the university’s students and professors have not hidden their impatience at the Aquino administration’s delivery of campaign promises. And wasn’t UP’s budget for 2011 one of the worst cut? Protests would surely mark the ceremonies. If you’re a President beginning to feel the heat of criticism and opposition, how do you approach a university known as a hotbed of dissent against sitting leaders? A moment of silence, please, for the passing of a formidable ally in television news gathering. We found you turned on your side in the middle of a freeway, wrecked by the combination of heat and friction that burst your tire and sent you careening along the road. The giant plate synonymous with your work we found meters off, severed from your roof. We lost you, fittingly, in the line of duty. Our convoy was en route to what was supposed to be a quiet event up north. But instead of covering a story the next day, you became part of that Sunday evening’s news. Still, even with your untimely end, you proved dependable. Your sturdy frame kept your three passengers alive and a number of the equipment entrusted to you intact. Unlike most Pinoy kids my age, my first memories of television were state-run foreign TV, reruns, and CNN. I spent my childhood in 1990s Riyadh, Saudi Arabia, a few years before The Filipino Channel invaded the desert with programming from the homeland. My brother and I would wait till 1 p.m. on class-less days for the government’s English-channel 2 to sign on. Aired first were kiddie fare like Looney Toons, Bionic Six, and Sesame Street. Some mostly-British comedy, reality game, and gag shows followed into the night. And indeed, the TV networks did not disappoint. 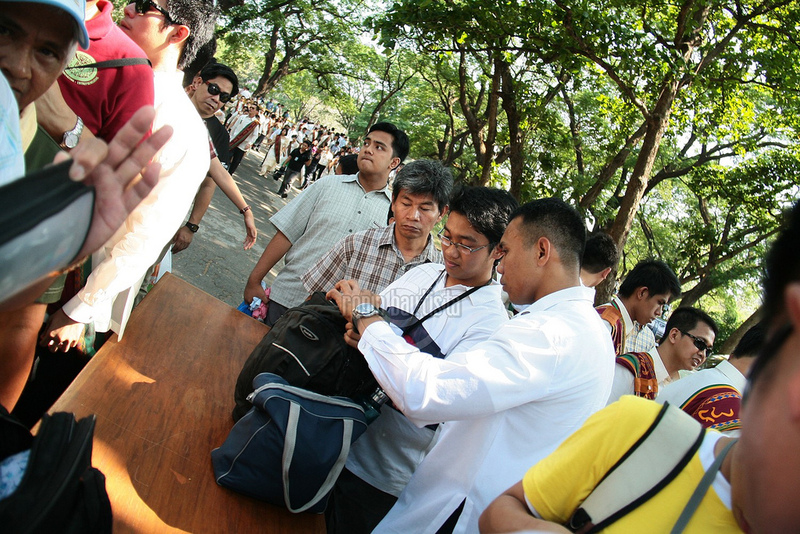 In May 2010, they fused hi-tech form and relevant substance to mark the first time many Filipinos used machines to count their votes. It’s not just the much ballyhooed “Star Wars”-like effects that have captured viewers and reignited debates among Kapamilya and Kapuso fans. More notable was the increased focus on context, issues, voter education, and citizen empowerment. After all, the 2010 polls have been called a crossroads in Philippine politics, held at the twilight of a long and controversial presidency, with the youngest, more socially conscious, and most technologically-connected populace participating. 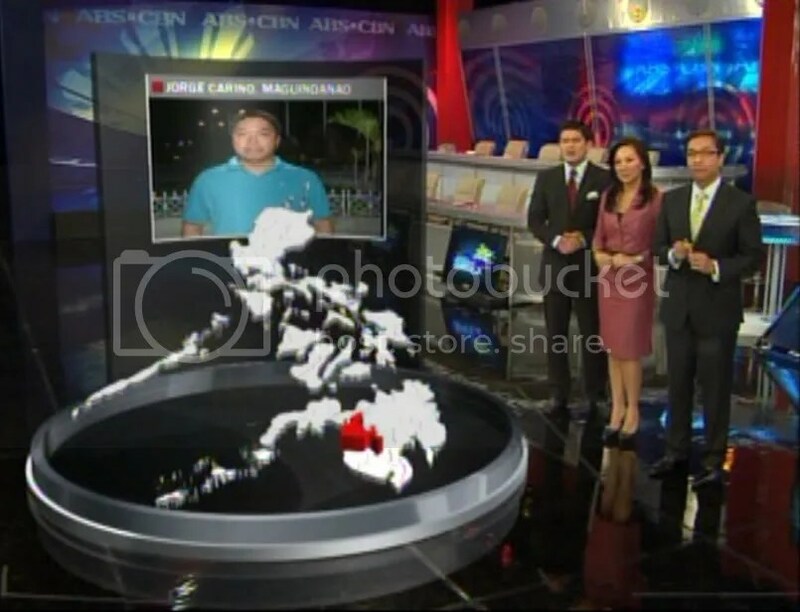 Viewers on election day raved about the ABS-CBN Halalan war room suggestive of NASA. GMA 7, like ABS, boasted heavy partnerships and widespread deployments, and a revitalized channel, TV5, showed how it could compete with the two. Unlike the cellphone-ruled 2001 and 2007 elections, 2010 was the first one dominated by online social media. Tips, complaints, jokes, and comments on Twitter and Facebook filled airtime. ABS-CBN led the surge with its multi-platform “Boto Mo Ipatrol Mo” campaign. Plus, the networks gave audiences a visual treat. Each had touch screens showing everything from candidate profiles to citizen journalists’ reports to 3D diagrams of the election process and results. The coup was augmented reality. The term refers to blending realistic computer-generated images with news presentation, thus “augmenting” the viewing experience–not unlike movie special effects. The script was short, the focus direct. But the few seconds of sounds and shots told lots more than a full-length written piece might. It shows a key rule in editing: As much as you can, let the audio and visuals speak for themselves. When used wisely, good video can rivet and rouse. So guides the choice cuts from the hour-long footage of the wait outside an air cargo terminal for a body in a box, and the wake that follows its arrival. What then tells the story for TV in a standard one-minute-and-twenty? It is the emotion shown in parents who cannot believe that their daughter passed on before them. It is the cry of relatives who wished they welcomed home a hero instead of a hearse. And it is the image of youth gone too soon. Reporter Gretchen Malalad patrols on a family’s grief at an unfulfilled promise. PBB Double Up former housemates practice for the Big Night's opening number. 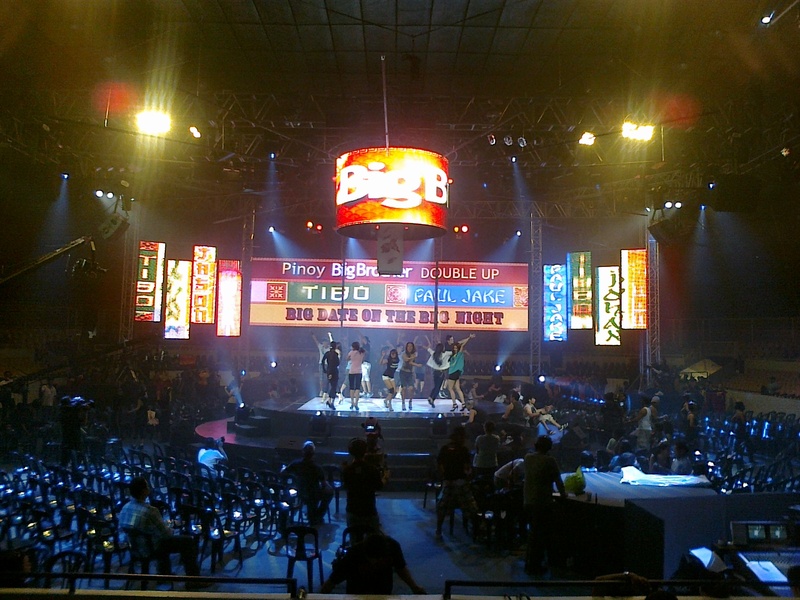 For a season dubbed “double up,” the venue of Pinoy Big Brother 3’s Big Night was not as double as previous ones. Neither were its production look and numbers. Why the choices, I leave to the production team. It was the timing of the finale, instead, that lived up to the show’s name–a rare red meeting of Valentine’s and Chinese New Year. The outcome, too. For not only did GenSan girl Melisa Cantiveros win, but her partner, Jason Francisco. While he placed third, their odd quirky tandem practically captured the season story line and made them its stars. A perfect “double up” to cap a series of twists that included two houses, two sets of twins, two foreign swaps, two “storms”, a couple of switches, and two Big Brothers. I’ll remember this PBB installment just for Melason. And because it was the closest I got to peek–granted, of course, by my de facto back stage pass as a Kapamilya. No, I haven’t set foot inside the famed PBB house. 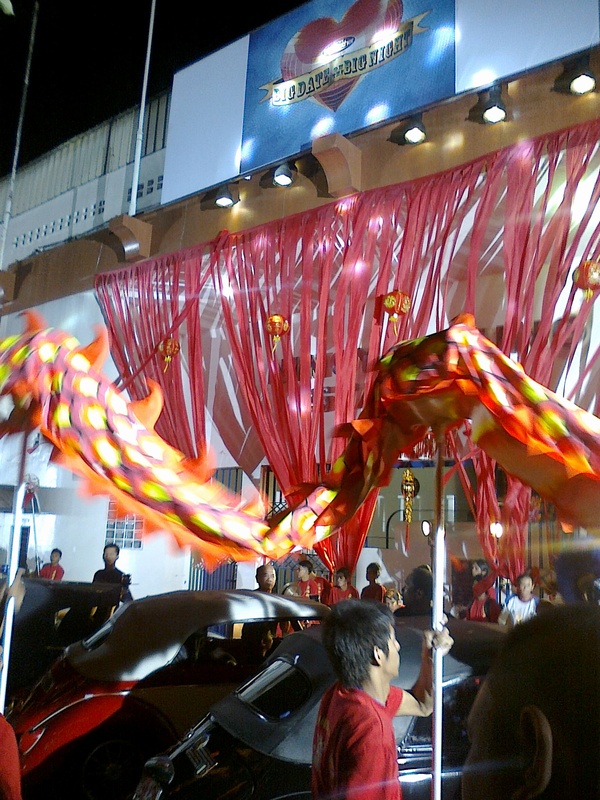 The Big Night was news that Saturday, I was on duty, and I volunteered to cover it. But I was not PBB’s biggest fan either. We met one such guy, a nursing student who absolutely adored the show and monitored its 24/7 cable feed. He was there for a sports event, not this. He envied us, he said, and asked if we could sneak him in. We couldn’t. I chose this just to atone for mistakes in a recent coverage of another TV ending. Through not a little coordination hours before, we parked at the Ninoy Aquino Stadium and set up lights and camera facing the stage. 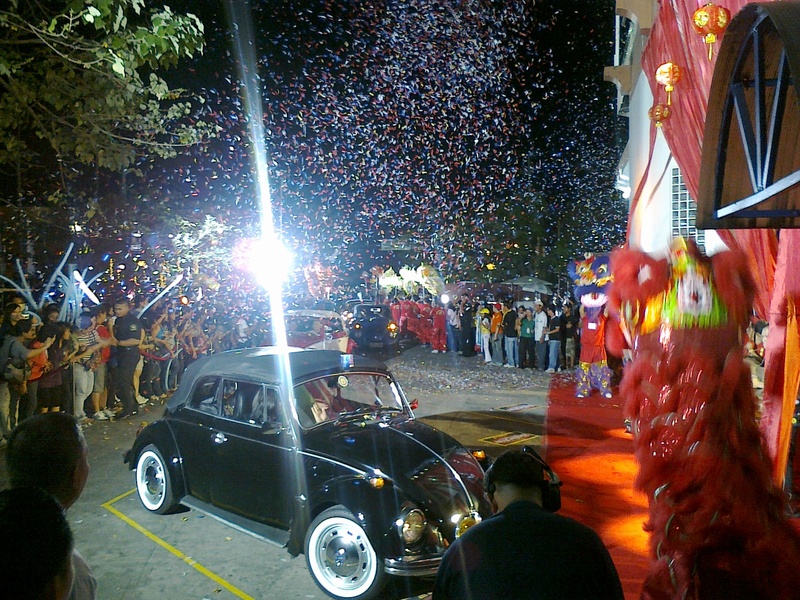 PBB taped as live the festive entry of the housemates to the stadium in vintage cars hours before the actual program. Our requirement was simple: a live silent report by Ginger Conejero at the end of TV Patrol on the preparations, with an English update for ANC. Half her video would be rolled from the studio. The other half was taken by our cameraman’s assistant. Ginger was also my reporter the last time, and I think I fairly made up for the earlier blunder. The report went quick and smoothly, but my editing lagged behind her script. We packed up and left just before the show started, already near 10. I rode a nearby bus home, and reached it in time to see Melai come out to fame and new-found fortune. When a TV production team was planning a soap opera in late 2008, they looked for a church fit to set its religiously-themed story. A live feature on morning show Umagang Kay Ganda ended their search. More than a year after, the series became the country’s most watched and the church one of the most familiar in popular culture. This sanctuary in sleepy Bacolor, Pampanga is now more known as the “Simbahan ni Bro”–the center stage of events in a fictional town and its miracle boy, Santino. But before it served as the backdrop of sleeper hit “May Bukas Pa”, the San Guillermo Parish Church already told a silent story of its own. It’s a story that perhaps explains why this temple of stone became the face of a Philippine microcosm aptly named Bagong Pag-asa. The 430-year-old church was the only visible remnant of Bacolor more than a decade ago after lahar from Mt. Pinatubo buried the town. Seeing Santino and his “fathers” walk around a plain-floored, one-story sanctuary, you would not easily count San Guillermo among those grand Spanish-era churches. The ash flow claimed all in the church’s lower ground–the altar, cemetery and monastery. Only the choir loft and bell tower remained above. Mere shots offer glimpses of its past glory. After Pinatubo, Bacolor’s citizens salvaged the sunken altar, retablo and the statues it contained. They restored the images and raised the retablo to fit under the single-level dome. They opened new entrances to the other rooms and blocked off the half-buried ones. They laid out new pews, markers for the Stations of the Cross, and started anew. With its curious appearance and story of recovery, the church was picked to play the part of humble town parish. San Guillermo’s rise from the ash flow soon extended to Bacolor. It started with the constant presence of the actors and crew from “May Bukas Pa.” Every part of the church and the town was put to good use–with rent paid. Then the tourists came. From buses of students on field trips to groups of overseas Pinoys on vacation, all came to see the church of Santino. Local vendors were soon earning from the visits. When the show ended on February 5, residents would miss its characters and the uplift it brought the town. All with the help of this church that kept hope alive amid the flood. See other pictures of San Guillermo church in this pinoyjourn Multiply album.